Fresh Christmas garland is a great way to bring nature into your home’s Christmas décor. Some people use the fake strands of garland, but let’s face it. It’s just not the same. You do not get that lovely ‘Christmas’ scent from the plastic and synthetic garland. And there really is nothing quite like that scent. Fresh Christmas garland is not expensive and smells so wonderful! It perfectly drapes outdoor fencing, mantelpieces, staircases, and many other area. We sell wholesale Christmas garland for sale and we make our fresh Christmas garland from Fraser fir and White Pine trees. We also sell a mixed garland that has both White Pine and Fraser fir roping. The Fraser fir garland strands that we sell have the most fragrant smell. Fresh Christmas garland is made from evergreen cuts and we expertly handcraft each Christmas rope that we sell. Our Christmas wreaths and garland are prized for their custom craftsmanship and color. We harvest trees and evergreen cuttings each fall and put pieces together to create large and small Christmas wreaths and garland. Prices for our Christmas garland for sale varies depending on the size and length of the roping that you wish to order. We harvest the freshest cuttings. 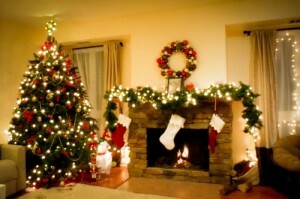 Wholesale buyers, contact us for prices on Christmas wreaths and garland. We would love to work with you this year. We do not sacrifice quality for quantity. We won first place in North Carolina this past year and delivered a tree to our state’s governor this past December. This December, we will be taking trees to decorate the Vice President’s residence. Our farm continues to thrive and be recognized by industry associations for our fine standards in growing and we would love to forge a relationship with you. Churches and organizations, contact us. These items are great fundraisers during the fall season and we would be happy to help. Sturgill Tree Farms is a proud member of the business community and it's professional associations. We work hard at being the best in the wholesale Christmas tree industry. © 2019 Sturgill Tree Farm, all rights reserved.